To prepare for this assignment, students first study basic plate tectonics, especially continental rifting and the creation of the Gulf of Mexico. They then study how this results in petroleum deposits. 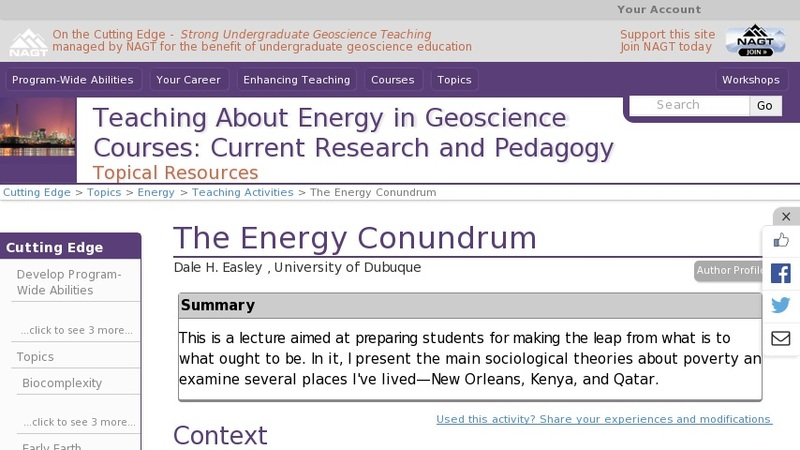 After the attached lecture, they write about how society can best utilize resources.